Richard L'Amore - "The Ecuador Guru"
My love affair with Ecuador started at age 2 in 1956 when my parents moved to Ecuador as missionaries. We first lived in Guayaquil on the coast where they studied Spanish for about a year, then moved to Otavalo in the Andes for about 3 years, and finely Quito. While in Ecuador my parents and I explored all over the country. Banos, Santo Domingo de los colorados, Urubamba, Ambato, Salinas, Cuenca, and so much more. After 8 years in Ecuador, we moved to the Amazon jungles of Peru where we lived until 1969. 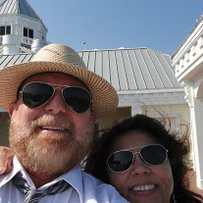 While in South America we traveled often to Chile, Argentina, Paraguay, Uruguay all over really, and even the length of the Pan American Hwy twice, USA to Panama. After returning to the United States I had an opportunity to live and work in Mexico with the Department of Tourism, and later with an International law firm specializing in NAFTA maqiladora ventures and other partnering opportunities. My greatest accomplishment is the marrying of my wife Maria, we met as teenagers in Mexico. Maria was born in Yecora Sonora, at age 13 came to the United States where she studied and graduated a Registered Nurse worked for 28 years as a nurse in many capacities. Now we live in Ecuador, over the years I always thought Mexico would be the natural choice, but with all the problems there we continued our search. Well of course Ecuador was on the top of the list, I did extensive studying of other Latin American countries but always came back to Ecuador. Climate, Safety, cost of living, etc etc. So made plans for an exploratory trip to Ecuador, well to make a long story shorter the one reservation I had was would my wife a Mexican by birth and American most of her life feel about living in Ecuador. She is the one that pushed for us to go ahead and buy a place where we now live in Pululahua Volcano Crater about an hour outside Quito. We hope you will consider a trip to Ecuador to see for your self the best way of life on earth. 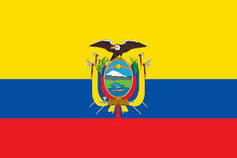 Our service is based in Quito, Ecuador. Known for its customized, luxurious travel packages that never disappoint, ECUADOR GURU will help you plan an unforgettable, one-of-a-kind vacation, or permanent stay. From arrival in Quito( throughout) and back to Quito airport.